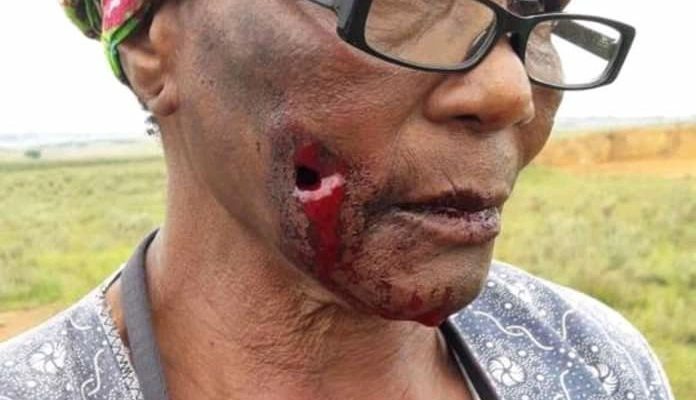 A 77 years old Gogo Ester Khumalo residing at Enkanini in Carolina Location Mpumalanga Province is the recent victim of Lawlessness police brutality in Mpumalanga Province. 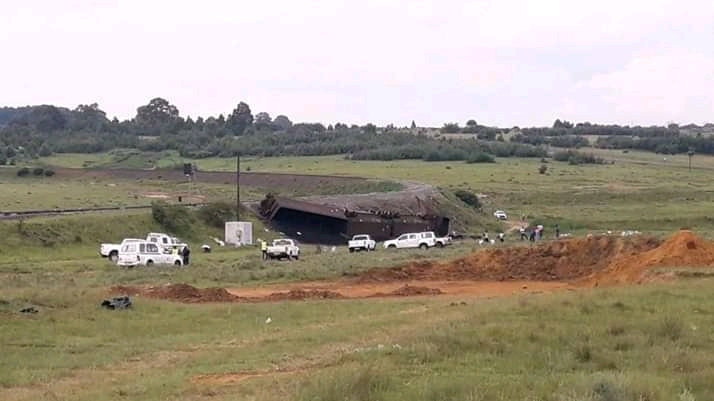 All this after the defenceless old gogo tried to make ends meets after a coal carriage train derailed from its railway in Grooitvlei farm just few metres from where gogo is staying. The gogo after hearing that the train has derailed, spilling coal all over the place decided to pick up her wheelbarrow to collect some spilled coal to support her grandchildren. Upon her arrival she found community members already helping themselves to the coal and joined them. To her surprise a police forced her to unload the coal from her wheelbarrow. The police officers also shot the old gogo on her chin in a close range without any warnings which is a clear indication that our police officers are law unto themselves and are not familiar with their own crowd control procedures. After being shot she was told by one of the police officers to wait for an ambulance to attend to her bleeding chin. The old gogo with a help of activist in her community went to the police station with a hope of opening an assault case but she was told that she is not legible to open a case as she herself is a thief but eventually the case was opened however according to gogo and the activist they believe that the case was only opened to send them astray as the case number is suspicious and has reported on the gogo’s phone as it should/ per charge office procedure.